Hey y'all! How's everyone doing? 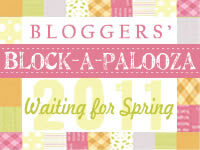 I am so thrilled to have been asked to participate in the Sew Pretty for Little Girls blog hop - it is one gorgeous book! Just to nip any confusion in the bud straight off, this lovely book by Alice Caroline is also known as "Little Lady Liberty" in the UK (which is a title I just adore by the way). This book is just full of lovely Liberty goodness, and you know I love me some Liberty! 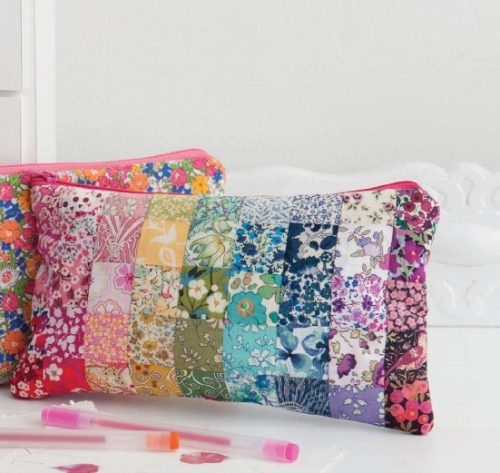 While the book is marketed as projects for little girls, I think many of them (such as the Isabel Baskets, Rosie Floor Cushion, or Zoe Lampshade) could work for just about anyone depending on the fabric choices. Case in point, my Grandma is turning 85 in June and I'll be making her the Mia doll! 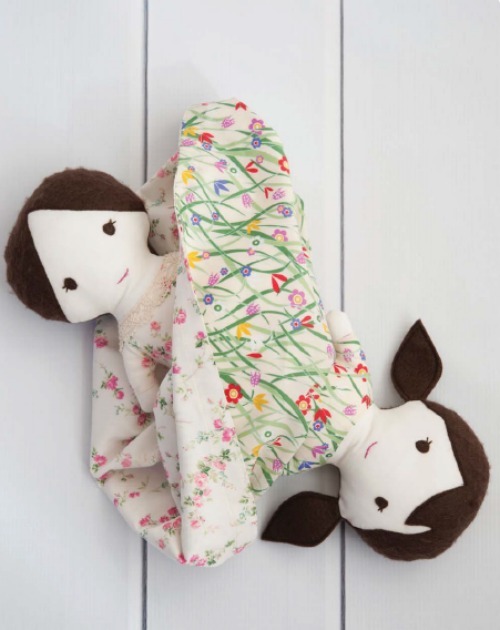 She absolutely loves this type of doll, so this is the perfect opportunity for me to make one for her. These are the fabrics and trimmings I'm thinking of using for the dress portion of the doll. All of the fabrics are Liberty quilting cotton and I'll be using the pink for one side of the dress and one of the blues for the other (I'm leaning towards the pale blue in the middle right now). 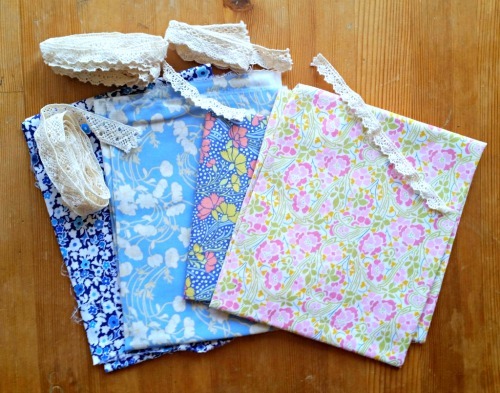 Liberty scraps! 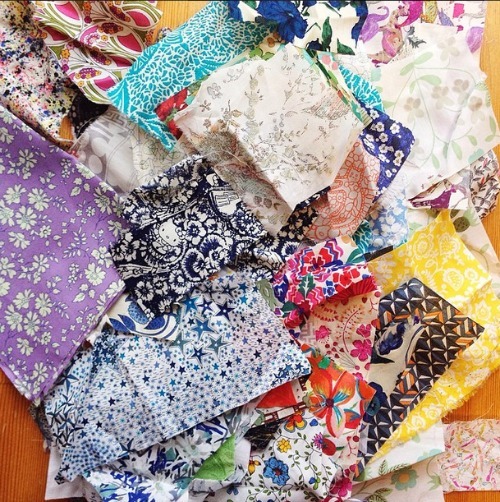 This is just a snippet of my Liberty scrap stash and I think making an Orla would be the perfect use for them (I'm also contemplating some EPP clamshells). Yep, this book is giving me all kinds of ideas! 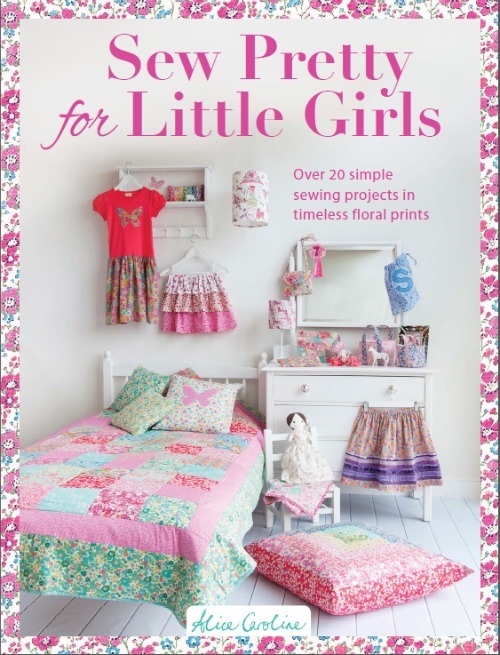 If you're interested to learn more about the Sew Pretty for Little Girls (or if you want to see some more lovely pictures and drool over all of the Liberty goodness), be sure to check out the list of hop participants here. 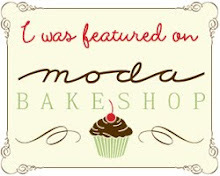 THANKS FOR SHARING LIBERTY LOVE ! I LOVE YOUR PROJECTS ! These are gorgeous! I love the doll !